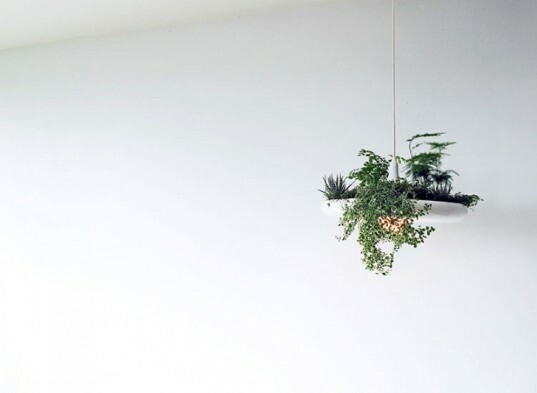 Toronto-based industrial designer Ryan Taylor’s Babylon Light is a modern lighting fixture that doubles as a planter. Just like the futuristic kitchen light from Back to the Future, this multipurpose pendant lamp can be used to grow basil, rosemary, thyme, or even tomatoes! Made from powder coated aluminum, this centerpiece could serve as not only a kitchen light, but also as a working herb garden. Any kind of plant can be kept in the Babylon Light, but it seems most appropriate for homeowners with a knack for growing their own produce for cooking. Ryan Taylor is currently showcasing the Babylon Light at IDS 2013 PROTOTYPE in Toronto until January 27th. The light will also be presented at the Gladstone Hotel from April 25 through the 28th. Supplies are limited, so visit his website for more information. 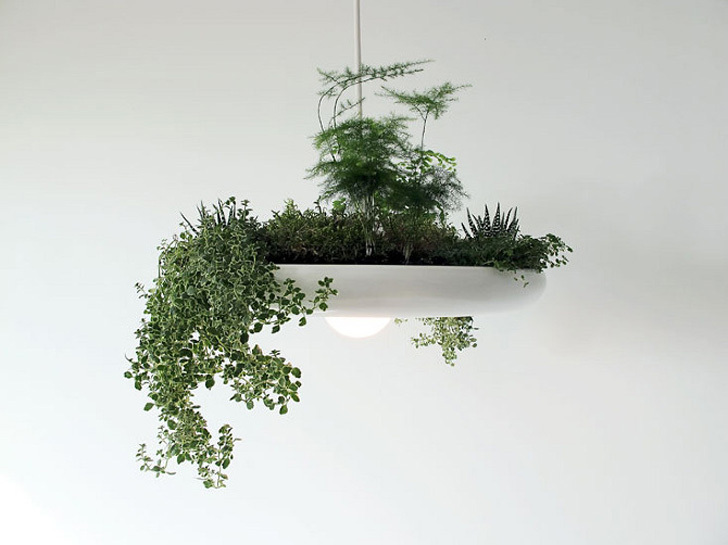 Toronto-based industrial designer Ryan Taylor's Babylon Light is a modern lighting fixture that doubles as a planter. Just like the futuristic kitchen light from Back to the Future, this multipurpose pendant lamp can be used to grow basil, rosemary, thyme, or even tomatoes!